Whether you’re in town for business or pleasure, our pet friendly Boston hotel is the perfect place for you and your furry pal to stay. Book one of the 270 spacious guest rooms at Crowne Plaza Boston Newton and enjoy the best in comfort and convenience. After a busy day of work or visiting local attractions, take a splash in our hotel indoor pool, break a sweat in our newly-renovated fitness center and satisfy your cravings at our onsite restaurants, Lobby 320 and Social Restaurant & Bar. Travel with ease to our hotel and park your car at our on-site parking garage, available at $28.00 per day for overnight guests or upgrade to valet for only $35.00 per day, with unlimited entry-exit privileges. Hosting a meeting or event in Boston? We feature six distinctly different meeting rooms, totaling over 8,000 square feet of flexible space, each newly remodeled, including a state-of-the-art executive boardroom and a stylish ballroom with natural lighting. Whatever your needs, our friendly and knowledgeable staff is always ready to help. We look forward to welcoming you to our hotel! (26 ft. x 13 ft.) - open 6 AM to 10 PM daily. Featuring new cardio equipment, including a rowing machine and full weights. Open 24 hours. Newly renovated in February 2017. Express Check-out: If you provided a credit card at check-in, you can utilize the express check out service via voicemail or television. We accept pets up to 50 pounds. A $75 non-refundable fee is charged per pet, per stay with a max of 2 pets per room. Free WiFi Internet access: we just completed an update, doubling our access points and increasing the speed for our guests! Additionally, we will be upgrading to fiber cable by summer 2017 which will give streaming content a big boost! Hotel restaurant, Lobby 320 serves “all-American” breakfast daily. In-room dining available all day. The hotel is a 100% non-smoking hotel. Fees may apply. Internet, email and printer access; copy, fax and mail delivery available at the front desk. Hotel ATM located in corner near Guest Computers. Parking in adjacent Gateway Garage for $28/day for overnight guests. Height restriction is 6’6”. Metered public parking is available for oversized vehicles and vehicles that do not meet this height restriction. 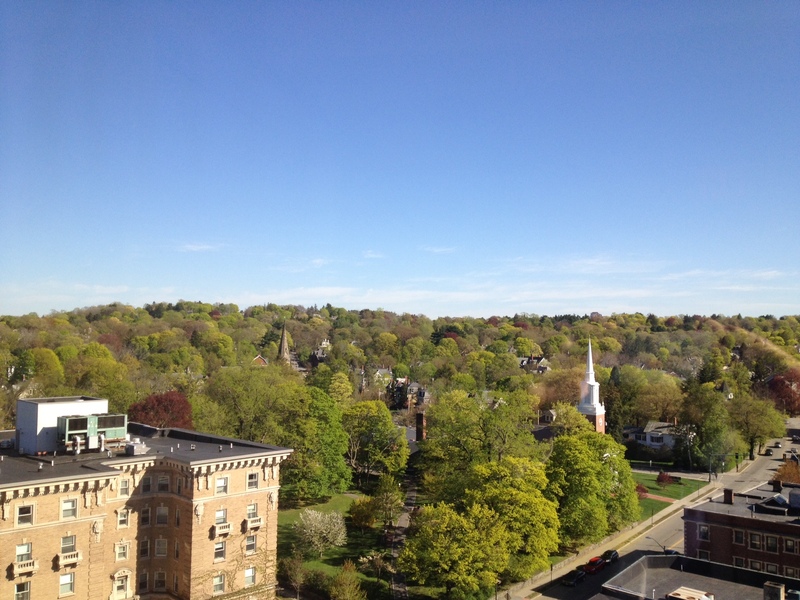 Located directly over the Mass Pike, Crowne Plaza Boston-Newton is easily accessible and a quick drive to Boston. MBTA Bus - Direct bus service via MBTA bus 1 block from the hotel. Pick up your Zipcar with us. There is a $75 non-refundable fee per pet, per room with a maximum of 2 pets per guest room. Pets staying with us must be fully house broken, immunized, and weigh 50 pounds or less. 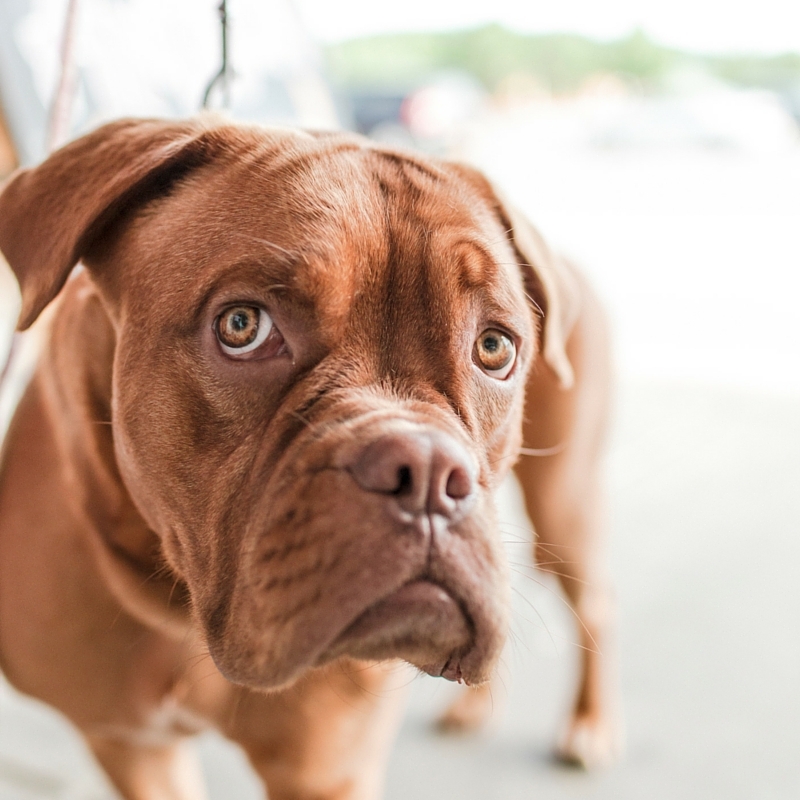 Pets are permitted in guest rooms and lobby only and must be leashed or crated when entering or leaving through public space including guest room corridors. With the exception of service animals, pets are not permitted in public space including restaurants, fitness center, or pool. Pets will be limited to guest rooms on designated pet friendly floors and are not permitted on Executive Floors. Please call the hotel in advance of arrival or submit our Pet Pre-Arrival Form to notify us of any pets staying with you in your guest room in order to allow us to assign your room properly and have a pet waiver waiting for you upon arrival. You can view a copy of our pet policy waiver here. All guests wishing to take advantage of our pet policy will be required to sign our waiver prior to check in. Thank you and we look forward to welcoming you and your pet to Crowne Plaza Boston-Newton. 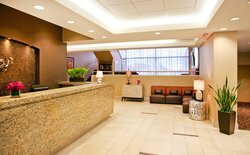 Located directly adjacent to the hotel, One Gateway Center provides easily accessible parking for Crowne Plaza Boston-Newton guests. To make the process seamless for our guests, we are able to charge parking directly to your guest room bill as well as validate at the front desk. For guests who prefer, allow our dedicated guest service team to valet your vehicle for you. With unlimited in and out privileges, let us worry about finding the perfect spot while you start your stay off hassle-free. Book our Pre-Paid With Parking Offer to save $13 per night on parking fees and up to 25% off Best Flex rates! Washington St & Bacon St. Learn more by reading our Public Transportation FAQ. 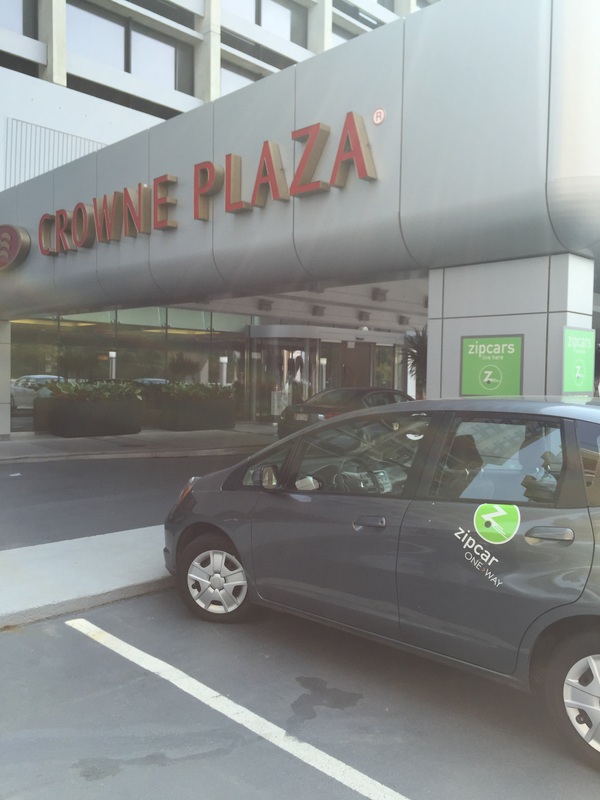 We're a Zipcar pick up location! Exit the airport, driving through Ted Williams Tunnel to the Mass Pike West (I-90). Take the Newton/Watertown Exit 17. At the end of the ramp, veer left onto Washington Street. Head straight and the entrance to the Crowne Plaza Boston-Newton Hotel is on your left. *Please note, if you are using GPS or Google Maps, due to our location over I-90, these will often bring our guests to the wrong location. 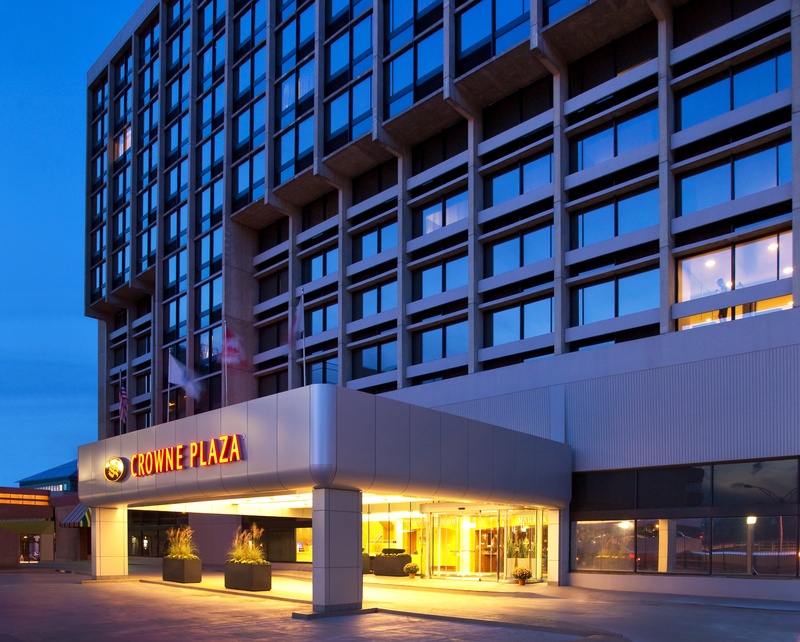 In order to get the best results, please use Crowne Plaza Boston-Newton as a point of interest versus using our street address only at 320 Washington Street. Crowne Plaza Boston-Newton Hotel will be on your left. From I-93S take I-90W to exit 17. At the end of the ramp, veer left onto Washington Street. Head straight and the entrance to the Crowne Plaza Boston-Newton Hotel is on your left. From I-95S take I-90E to exit 17. At the end of the ramp, veer left and take the 1st left. Stay in the middle lane and veer left onto Washington Street. The entrance to the hotel is about 0.25 miles on the left. From I-93N take I-90W to exit 17. At the end of the ramp, veer left onto Washington Street. Head straight and the entrance to the Crowne Plaza Boston-Newton Hotel is on your left. From I-95N take I-90E to exit 17. At the end of the ramp, veer left and take the 1st left. Stay in the middle lane and veer left onto Washington Street. Entry to hotel is about 0.25 miles on the left. 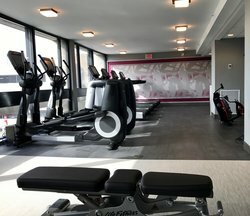 Our $225,000 fitness center update is complete and re-open for guest use! Located on the 3rd floor, adjacent to the indoor pool and overlooking the Massachusetts Turnpike, the newly-renovated fitness center features state of the art exercise equipment by Life Fitness to help you re-energize while you stay at the hotel. Integrated, individual monitors provide connectivity to either TV or internet and towels and cold water are provided at the refreshment center. In addition to four treadmills, two elliptical machines, one rowing machine and one stationary bicycle, there are free weights, resistance bands, yoga mats and a BOSU balance trainer for guest use. 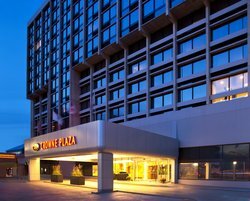 The Gym is open to Crowne Plaza Boston-Newton hotel guests 24 hours a day. Watch our FAQ with Jane and Intro to YMCA videos! 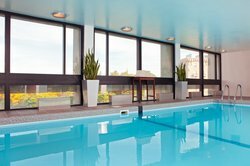 While staying at the hotel, relax in our indoor heated pool overlooking the highway. The pool was recently renovated and is located on the 3rd floor, next to the fitness center. Dimensions: 26 ft. x 13 ft. 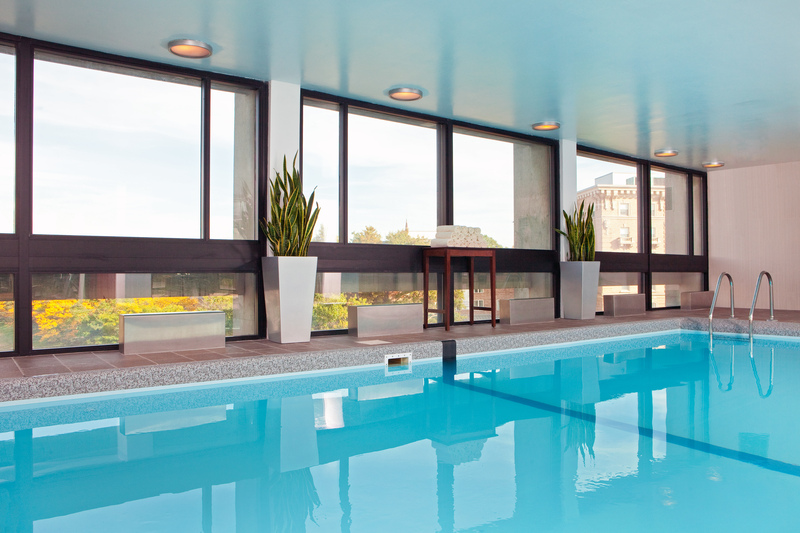 The Indoor Pool is open to Crowne Plaza Boston-Newton hotel guests from 6:00 AM to 10:00 PM. Our hotel restaurant, Lobby 320 serves fresh, all-American favorites for breakfast. 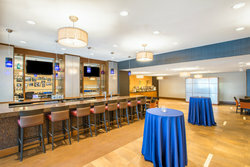 Additionally, Social Restaurant & Bar serves American cuisine with a twist for lunch, dinner and cocktails and is located just off of the main lobby. Social Restaurant & Bar is located off the main lobby and is independently owned and operated. 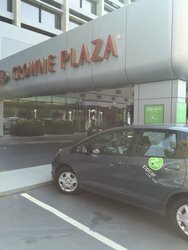 Join today at www.zipcar.com/crowneplaza and receive $50 of free driving credit. Staying 2 Nights or More? Participate in our Green Engage Program. If you're staying 2 nights or more and choose to forego housekeeping services during your stay, you're not only helping the environment by reducing the cleaning products, electricity and water utilized to clean your room, but you'll earn 500 IHG Rewards points or a $5 food and beverage voucher per night for doing your part! Let our team know you wish to forego housekeeping at check-in. Forgot? No problem! Call down to guest services and place the door hanger on your guestroom door by 12am and we will opt you in. Be sure to have your IHG Rewards number on file with your reservation. Not a member? We'll sign you up! Staying more than 5 nights? We'll need to get a housekeeper in your room to tidy up and make sure your stay is running smoothly. Ask our guest service or housekeeping team if you have any questions!